How to build your WordPress header and footer with Nimble Builder ? This feature is in its beta version. You'll need to enable the beta features for the Nimble Builder. The Nimble Builder allows you to build your own header and footer. The option can be set site wide or per page. In the following example, we'll describe how to customize your header and footer for a particular page of your site. 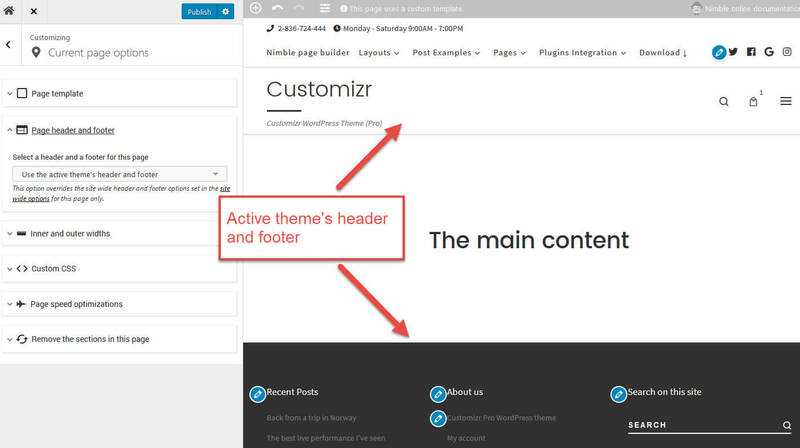 For the moment, the header and the footer are those of your active WordPress theme. 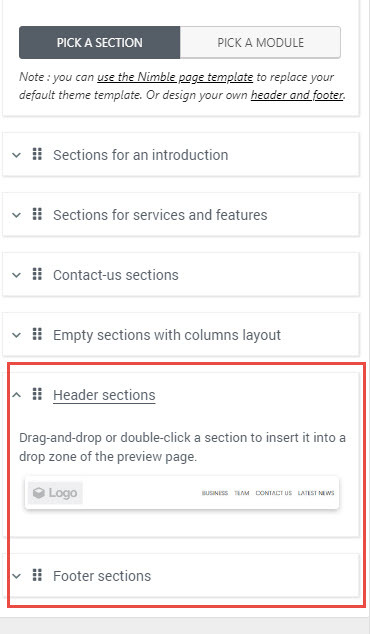 Your header and footer have now been replaced by empty dropzones in which you can start inserting Nimble Builder content. You can also leave them empty if you only need to display your main content on this page. 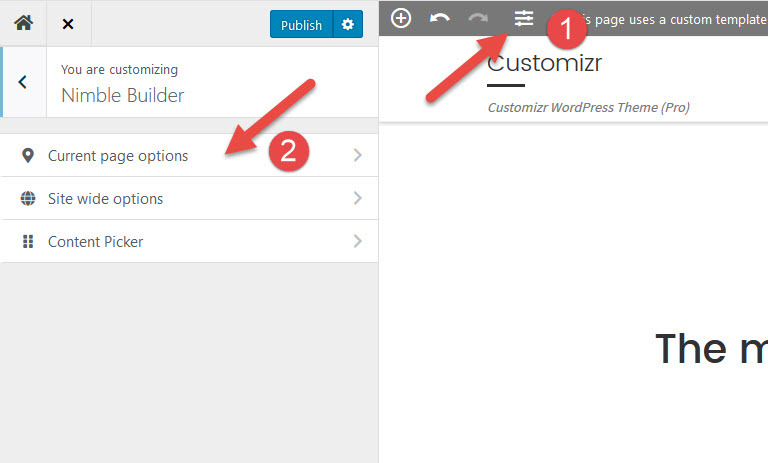 You can use pre-build header and footer sections in the content picker. How to change the page template with Nimble Builder ?